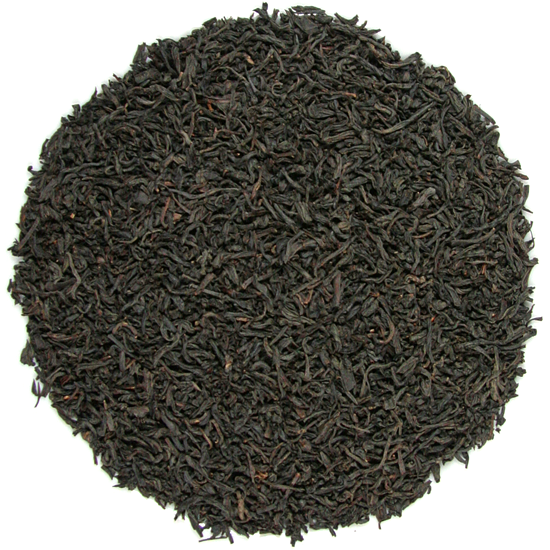 Lapsang Souchong is an assertively smoky (or ‘tarry) tea and is for the taste enthusiast. 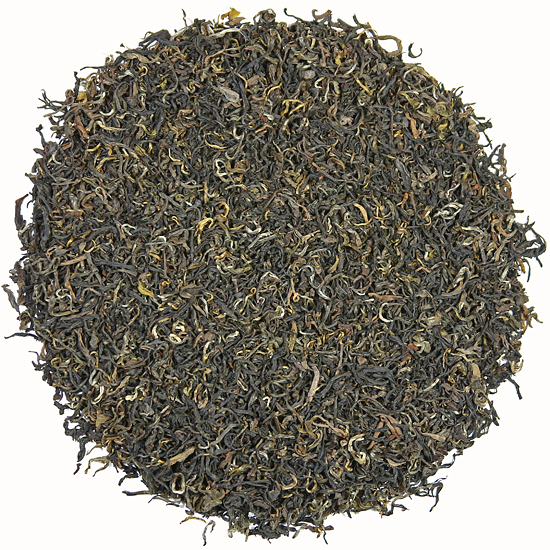 One generally either loves or dislikes Lapsang Souchong, rarely is there a middle ground! Among our customers are many upright Bostonians and adventurous grannies who love their gusto in a cup. 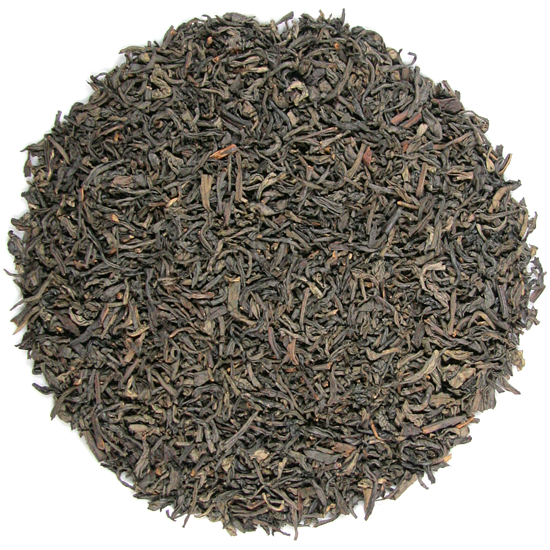 Our Lapsang Souchong is produced in a protected, natural area deep in a mountain valley of the Wu Yi Shan. On one of our tea-sourcing trips to eastern China we were granted the special permission necessary to visit this restricted area where Lapsang Souchong is smoked. Several different types of smoked Lapsang Souchong teas are made in the Wu Yi Shan, from the most refined to export grades. The more refined the tea, the less the smokiness and the more prevelant the flavor of the tea comes through in the nose and cup. The base tea for our regular, very-smoky Lapsang Souchong, is fully-oxidized leaf that comes from tea-growing areas outside of the Wu Yi Shan tea harvesting area. 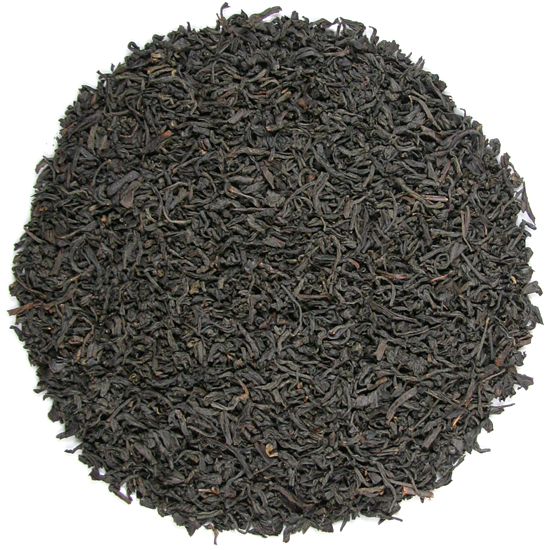 These base teas are produced specifically for this purpose and brought to the smoking sheds for smoking/ finishing. These teas are smoked in the cluster of smoking sheds that post-smoke (or ‘hot-smoke’) this tea after the manufacture of the local leaf (the famous, original Zheng Shan Xiao Zhong) is completed. See the story of our visit to these fascinating sheds in our book: The Story of Tea: A Cultural History and Drinking Guide, Ten Speed Press 2007.